Once again after many years of heavy use, our Lightbox was showing it's age and needed a refurb. Within the club many of us have scratched our heads and put our thinking caps on as to how we could upgrade the equipment. 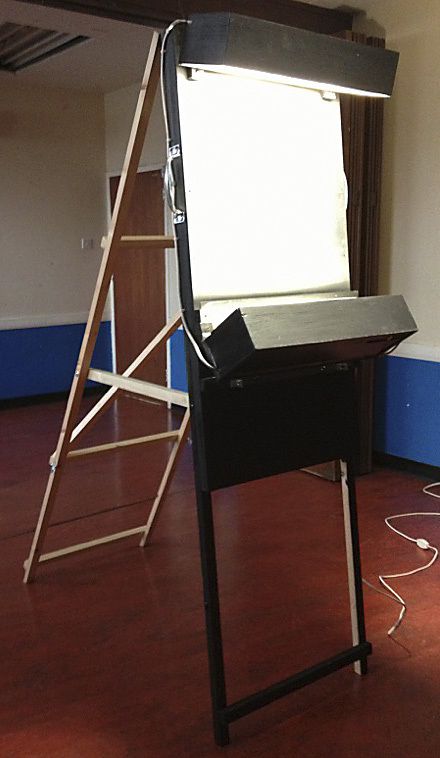 Time has passed and one brave member took up the challenge.....we now have a brand new 'LIGHTBOX'. It has been no easy task but where there is a will there is a way. The lightbox was officially used for the first time at our Quarterly Print competition. It worked a treat and will see us through many a competition.